Buy Stop Signs. 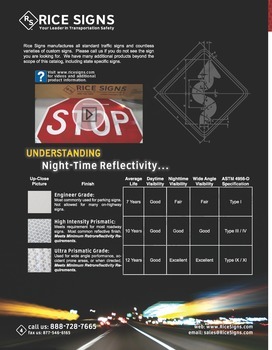 Rice Signs manufactures stop traffic signs. 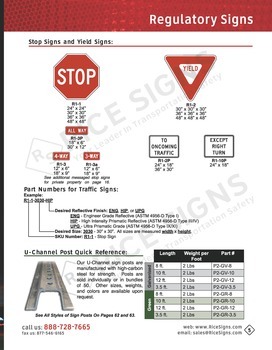 See Stop Signs in our catalog on page 5. 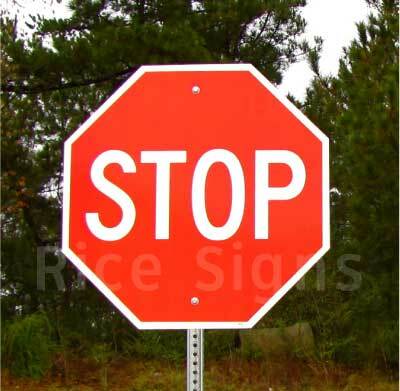 Stop Signs have a red background color. The text and border are white. Stop Signs are octagon shaped. 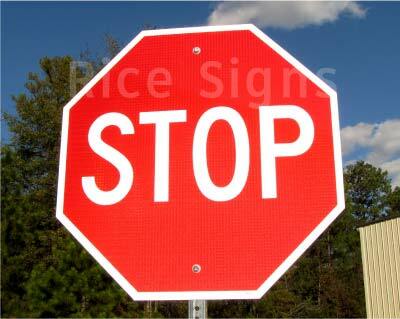 A 30"x30" HIP Reflective stop sign. 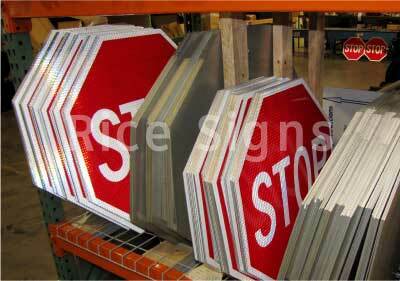 We have stop signs in stock for immediate shipment. Question: Does the Stop Sign have mounting holes? 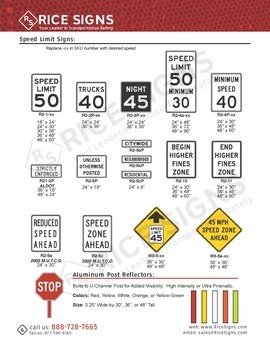 Answer: Yes, our Stop Signs have (2) 3/8" mounting holes.